It helps people from the cultural and creative environment to become professionals; it opens international markets to them and educates them. The CIKE team actively shares in the preparation of strategic cultural documents on the state and international levels for growth and development of culture and creative sectors in Slovakia. CIKE has a common vision to turn Košice into a place worth living thanks to the quality culture, the creative environment and innovation in all areas of life. 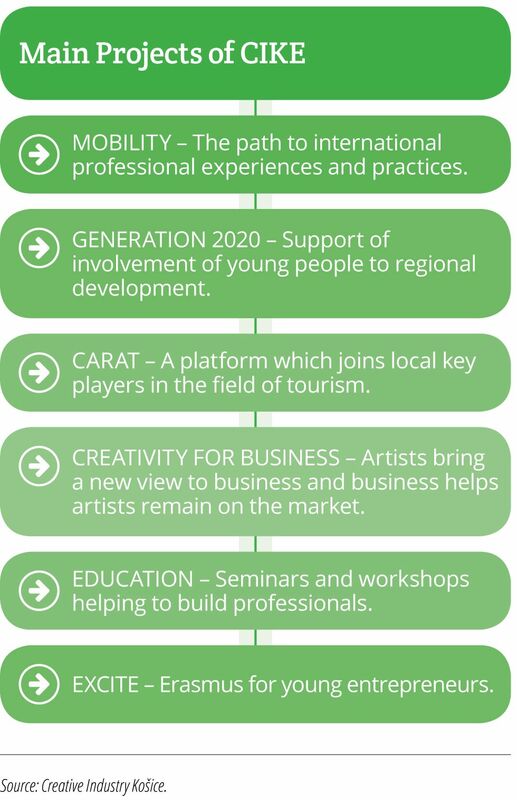 The vision is primarily met by the education of talented individuals and cultural institutions and the raising of their international profile, for example, by the provision of foreign trips, mobility and residential programs. CIKE also creates suitable conditions for cooperation with the private sector and is a key consultant of the city and region with the creation of strategic documents.